Acoustic Tracking Research of Coastal Sharks in the Gulf of Mexico. 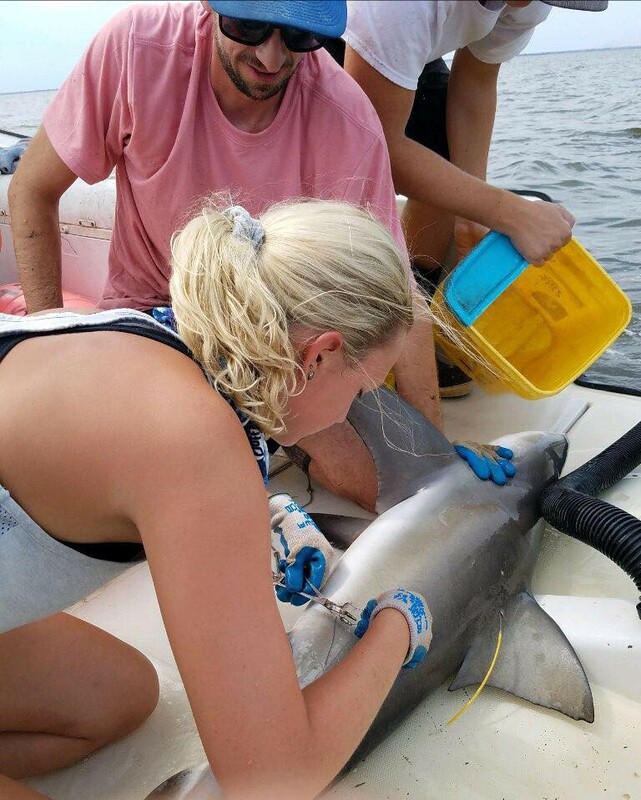 Under the advisement of FSUCML’s Dr. Dean Grubbs, FSU doctoral students Bryan Keller and Cheston Peterson are conducting active acoustic tracking of two species of coastal sharks: bonnethead sharks (Sphyrna tiburo) and bull sharks (Carcharhinus leucas). Completing the research team is FSU undergraduate Ashley Dawdy, 2018 recipient of the Helen Louise Lee Undergraduate Rese arch Award. The team is collaborating to conduct this labor-intensive field work to estimate daily activity space and apply the data to several questions. For her research work, Ashley is studying the effects of tide and diel cycles on movement patterns and habitat use of these species in Apalachicola Bay, Florida. 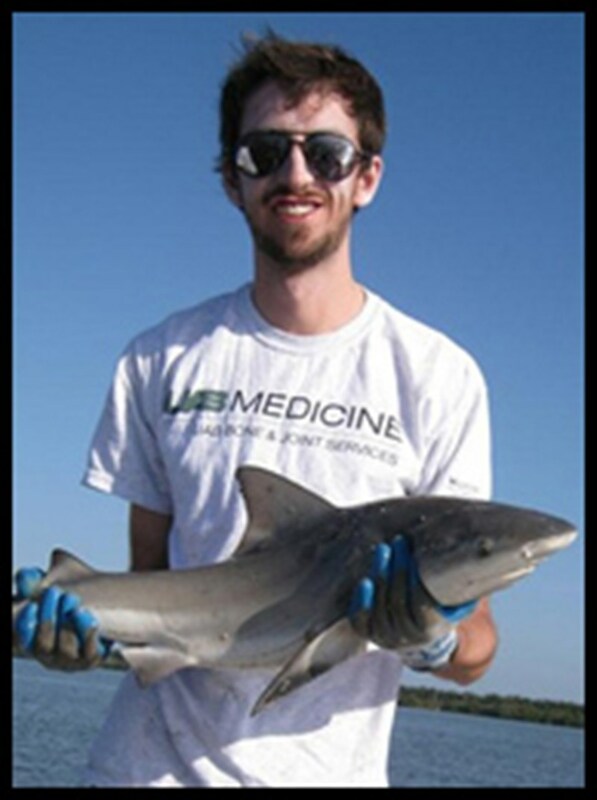 Cheston Peterson is studying the effects of prey distribution and predation risk on the movement and activity space of mid-level predators such as bonnethead sharks and gafftopsail catfish (Bagre marinus). 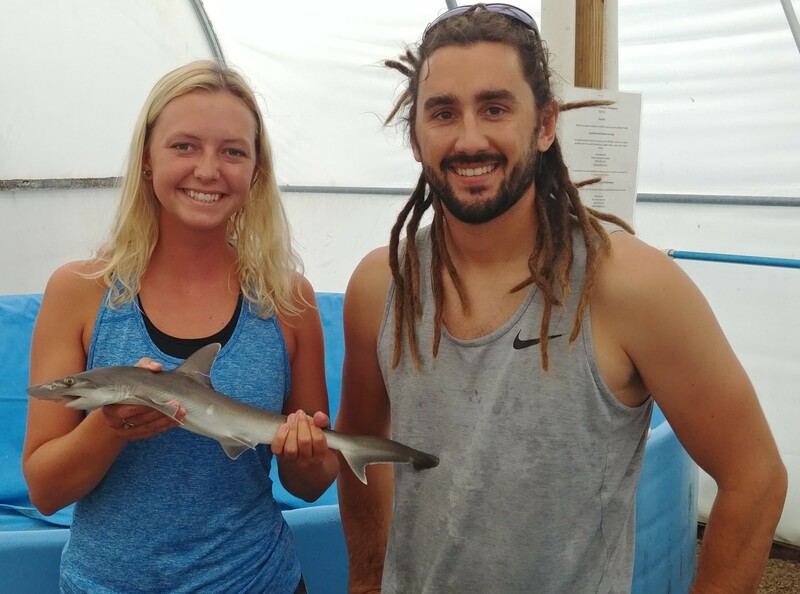 Bryan Keller, recipient of a Save Our Seas Foundation Small Grant, is interested in determining if bonnethead sharks use magnetic cues to navigate. Using data on the sharks’ home range obtained through this tracking, in the future he will displace sharks and determine if they use magnetic cues to return home. The research starts with catching a bonnethead or bull shark, collecting data about the shark on board the research boat and surgically implanting the shark with an acoustic tracker. The shark is then released and the fun begins. The team then actively tracks the shark’s movements using a hydrophone and acoustic receiver, following the movements of the shark for 52 continual hours. The team of course stops the track should weather become an issue or the shark is lost. The team began this work in late May 2018 and will continue until late summer of 2018 and repeat the activity in 2019 with a goal of tracking 10 sharks of each species. Check back to this blog for Ashley’s updates on how the research is going.